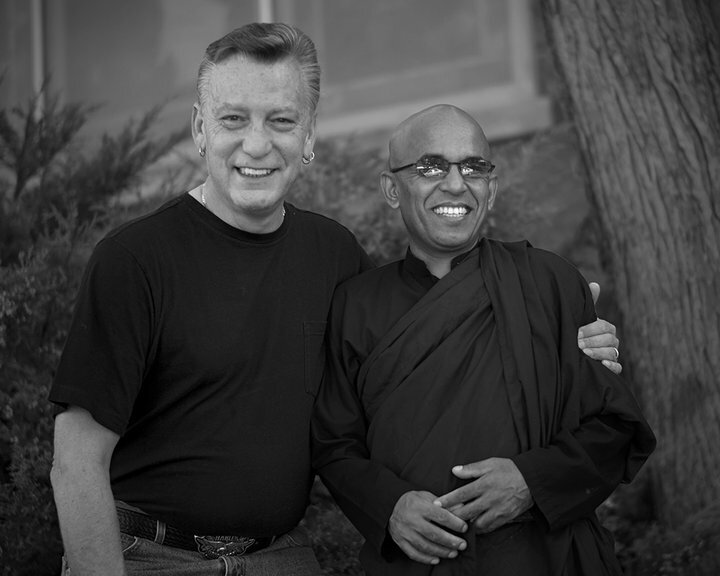 What’s the difference between Bhante Sujatha and me? Well, in one sense, there is no difference between us. We are both human beings and both are experiencing this life. But I also see there are some huge differences between us. And at first glance, I could easily assume that Bhante is different because he is a Buddhist Monk. But I don’t think that this is the case at all. A prime example is how I know that Bhante loves me so much. And he does so with no attachment or expectation. And this love he has for me is the same love he has for thousands of people. With each of us feeling special and important. This is not to say that I am not special to him, only that you are special to him also. I am not more special or less special. His love is truly unconditional. And I believe that everyone that knows him feels this tremendous love, acceptance and compassion. This is a glaring difference between Bhante and me. All people do not see and feel this acceptance and love from me. I have attachments and expectations. I am unskillful and ignorant in so many things. So would you think that if I became a Monk, I will be like Bhante? I can answer you with 100% certainty that I would not. It is not by being a Monk that this level of compassion and equanimity suddenly blooms. It is with practice, determination, loving the self, mindfulness, patience and a loving heart that I believe one rises to this benevolent state. So do I wish to become like Bhante Sujatha? Absolutely I do! And should I become a Monk to accomplish this? Absolutely not! Personally, I see the dhamma as one thing, and this life as another. If I am able to bring the two together, I think that I will become the loving being I am meant to me. I am so grateful to the Buddha for his teachings, so fortunate that Bhante followed the path, and humbled that I have been blessed with this great opportunity.